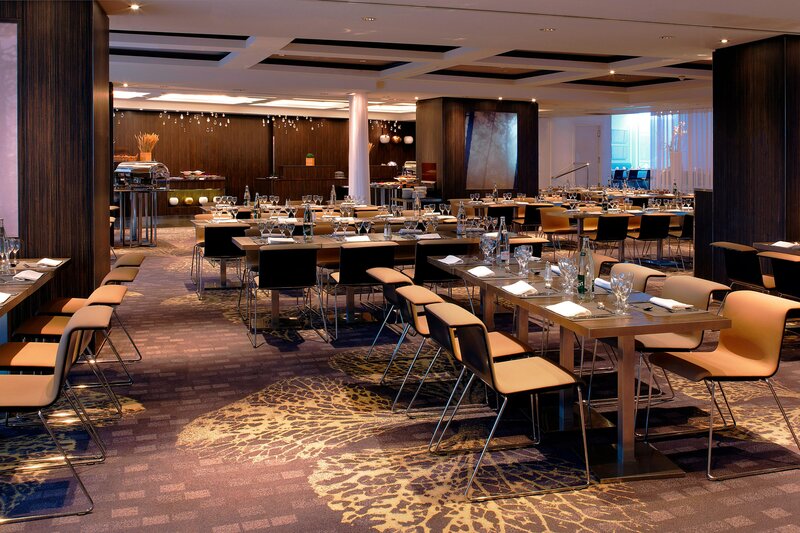 Le Méridien Etoile offers a range of eateries to discover. 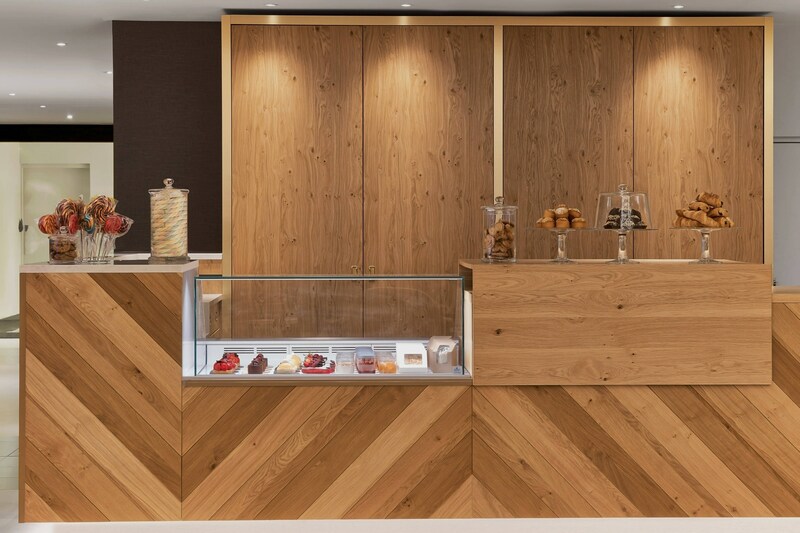 Indulge at the Longitude 2°17’ Bar with an Illy coffee, a signature Éclair or sweet savoury, a quick lunch, on site or take away. The popular restaurant offers the best meals, as well as a wide selection of wines. It also welcomes groups up to 40 guests. Inspiring experiences extend to the legendary Jazz Club Etoile, renowned for its live music scene since 1976, where guests can enjoy performances every Friday and Saturday night, alongside a cleverly mastered Chef’s menu and Barchef’s Cocktail list. This unique venue can be privatized for up to 120 guests. Le Patio Etoile, the hotel’s interior garden can also be privatized for up to 150 guests. Espace Latitude serves its own delicious version of traditional breakfast and brunch with lavish buffets and live cooking stations. The nature-inspired design of the restaurant pays tribute to the rising sun with its light-filled setting. 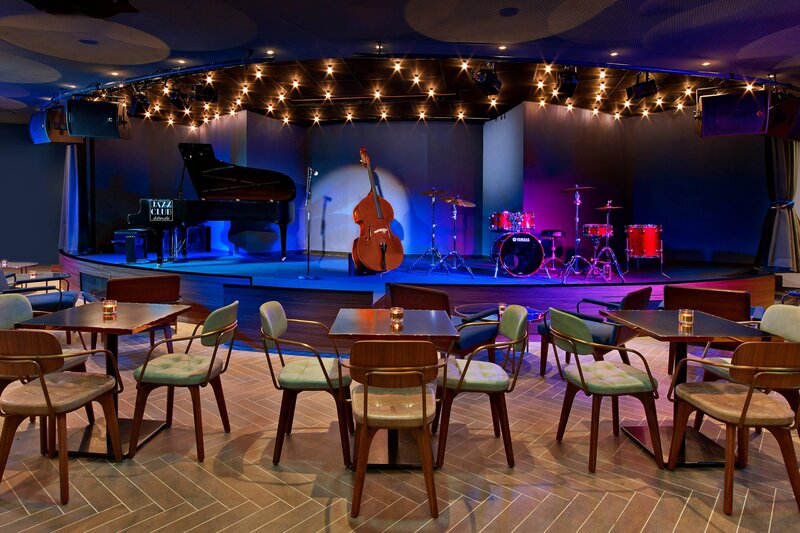 Enjoy a unique experience at the legendary Jazz Club Etoile. Established 1975, the Jazz Club features hand crafted cocktails and delicious cuisine. Experience live music Friday or Saturday night before setting off to stroll along the Champs Elysées. Tempt your taste buds with an authentic Parisian éclair paired with a warm coffee. Stop in for a quick lunch or take it to go. Experience French cuisine al fresco at Le Boeuf Maillot. This restaurant is best known for its mussels and seafood. Enjoy some authentic French cuisine at this bistro. Kirane&apos;s popular dishes are its various curries and its naan. La Maison de Charly serves Moroccan cuisine in this chic restaurant. La Vue creates French cuisine with a gastronomic twist.